I hope everyone had a very merry Christmas this year. We had a very nice Christmas and the festivities continue today with more time visting with family. 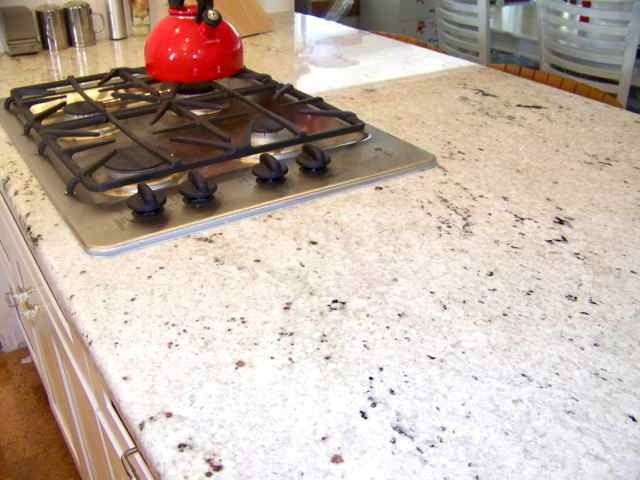 I'm just quickly popping in today to give you some long overdue granite shots. 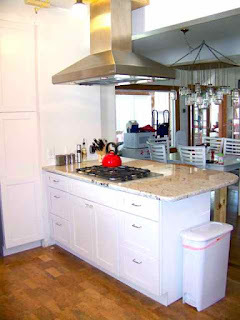 As you may recall, we wanted light countertops and we really liked the marble look but didn't want the upkeep. 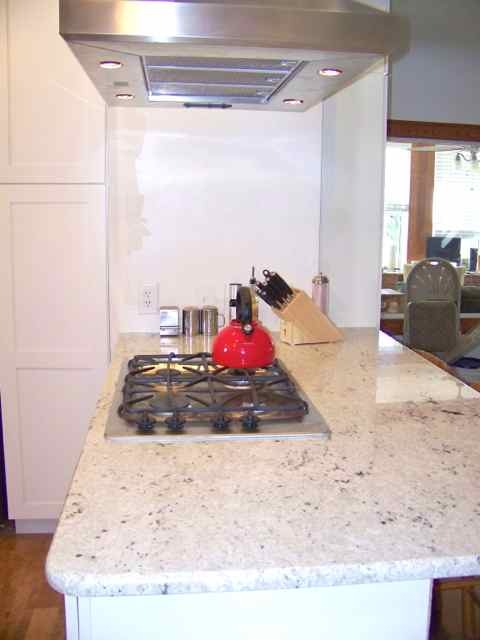 Well, we ended up getting a white granite that has a lot of depth to it and some cool quartz areas. 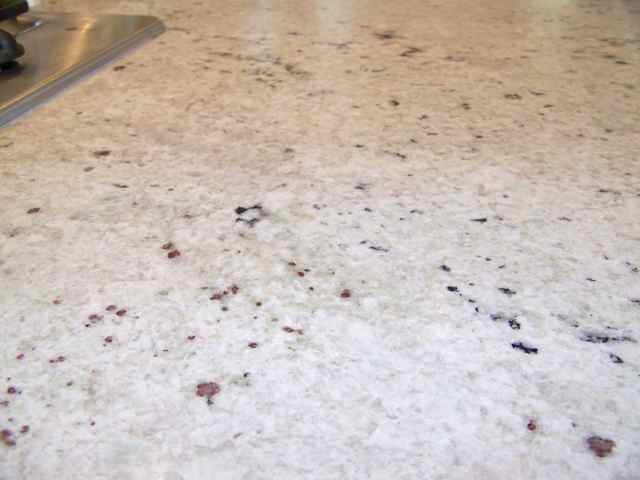 It's hard to capture with a camera, but there are slight purple areas as well as black as the main contrast from the white, but then there is a blueish-greenish quartz mixed in that you can see in certain light. There is also some very small brown and bright green spots mixed in. Basically, every time we look at this stone we find something new about it which we love. 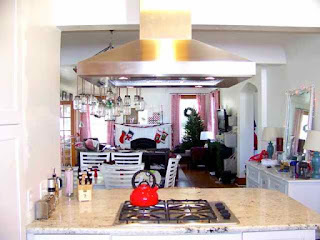 We opted to go for a half bullnose edge and on the kitchen side we had them do a 3" rounded corner while on the dining room side we had them do a larger 12" rounded corner to give a little extra space to the walk through area. We are really loving the countertops and the workspace we now have. We have essentially three separate, large areas to work at not including the area in the pantry and it is awesome. Pretty! We had granite installed this summer. I liked this color a lot, but it didn't look good with our existing cabinets and that wasn't in the budget, so we went with Uba Tuba. Yours turned out really lovely!